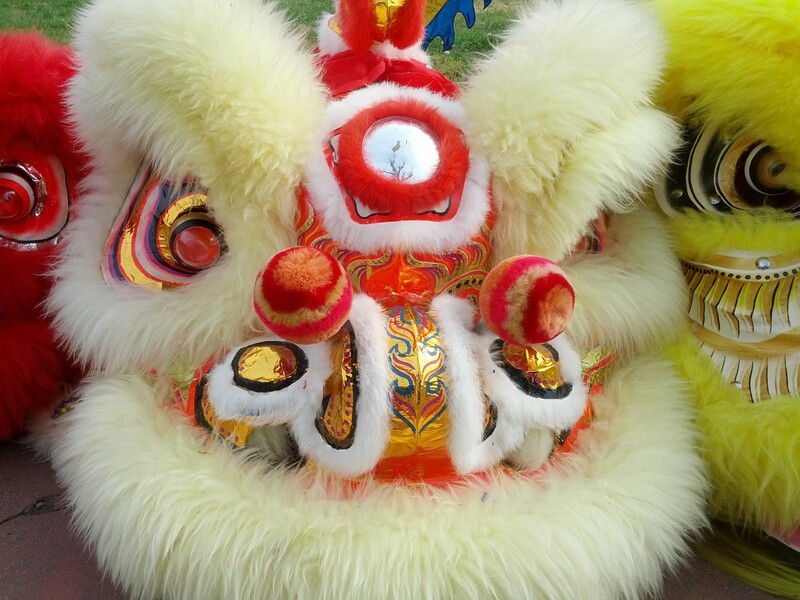 Saw some some beautiful lions at the Vietnamese New Year Festival in San Jose over the weekend. I’ve added some photos to the Lions photo gallery, check them out! 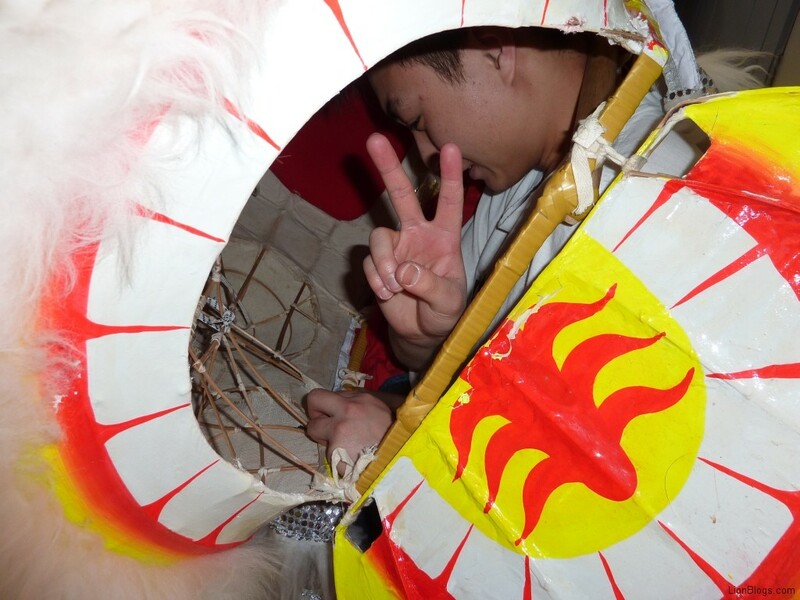 So Ryan tells me about this lion dance competition going on in the Bay area a couple days ago. Now, you know I haven’t practiced lion dancing or wushu for a long time now. Was planning on just catching up on work today, but Ryan convinced me to go check it. The event was presented by KTSF26 (a local television station with Chinese programming) and Golden Gate Fields (a horse racing track in Berkeley). 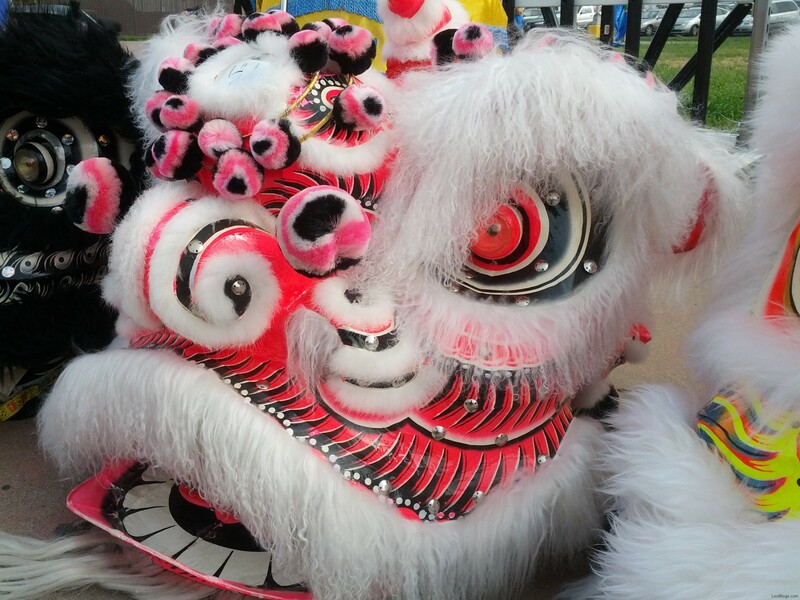 This lion dance competition included three lion dance teams from around the Bay: Yau Kung Moon, Hung Sing, and Rising Phoenix. 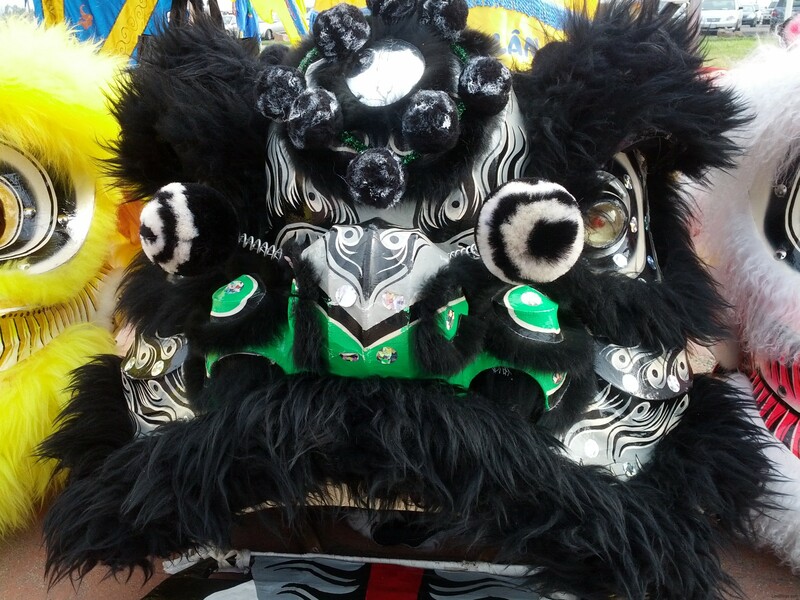 Yau Kung Moon started the competition using a beautiful silver, lime green highlight, white fur lion. Their performance apparatus was a pair of high benches and a pot. 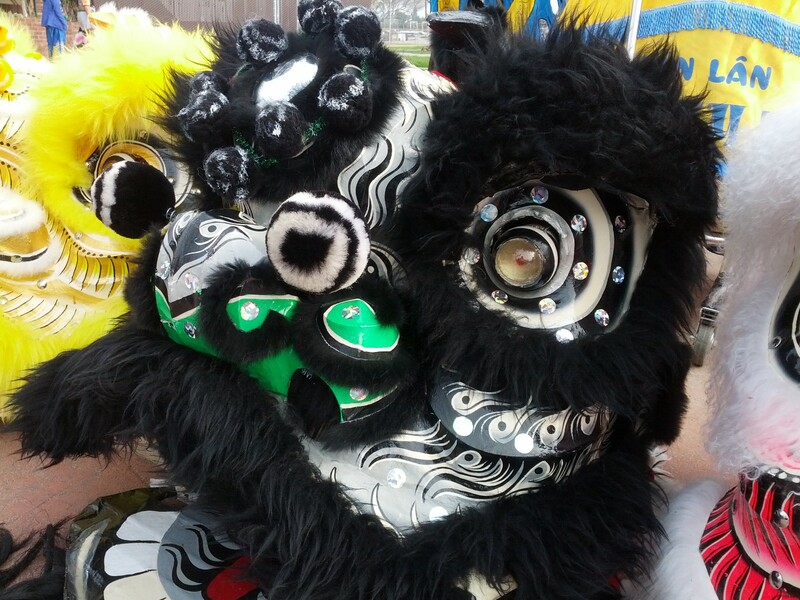 Next up was Hung Sing, with a black, gold highlight, red fur lion. Their performance apparatus was a large bucket. Last up was Rising Phoenix, with what seemed to be an identical looking lion as Hung Sing. They are infact two separate lions, but with a very similar look. Details on the head separate them apart. Their performance apparatus was a large bottle, in which they used to do a drunken lion act. To view entire photo gallery for this event, check out the Photos page. Following a quite nagging and painful Achilles injury from running, I felt it was best to not further aggravate it with wushu. I have been doing more running and have set a goal of running the San Francisco Half Marathon in July. I go for longer runs on Saturdays and have been using Sundays (normal wushu day) as a rest day. Further, since earlier this year, I have been going on longer runs on Thursday evenings as well and thus have been also missing Thursday’s wushu class. This past month has probably been one of my least wushu involved months in years. With that in mind, I have started to de-prioritize wushu. I will continue to focus on running for the time being. When Ryan returns to wushu practice, I will make the effort to go and hopefully get in some lion dance practicing. Where Are The Practice Lions? 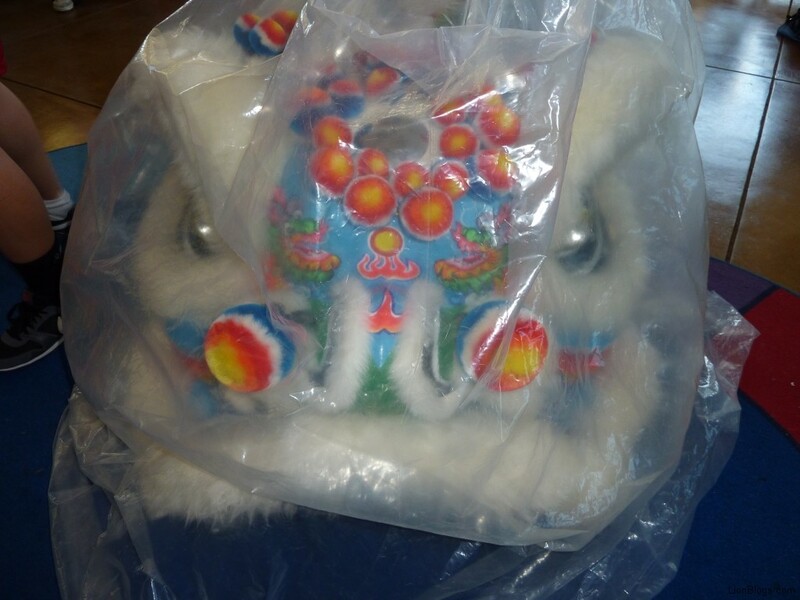 Are there such things as practice lions, that are made for practicing lion dancing? How does a lion become a “practice” lion? I’ve been wondering about this for some time. As you can see from our training videos, we usually just practice a bunch of stacking. There are just a few videos where we actually practice with with Ryan’s lion. This is because there’s not really a practice lion to use. So we’re lucky when Ryan has the time and is able to transport his lion to practice. I ask Ryan about his all the time. He says that basically there are new lions, which are performance lions. These are new and beautiful and people don’t like to get them beaten up by practicing with them. Then, as these performance lions get worn down over the course of their performance lives, they gain sentimental value with the owner/dancer. If something breaks, it is fixed. Over time, the lion may even be put through a restoration process if things get bad. Because they have sentimental value and memories attached to them, they are not sold when they are old, get worn down, or after restoration. They are retired and stashed away as a keepsake. I guess the only time people get to practice with actual lions is when someone is generous enough to let you use their lion to practice with or if you happen to find an old lion for sale, which I hear is rare. Or maybe you can try to make one to practice with? Either that or you bite the bullet yourself and get a new lion to practice with. 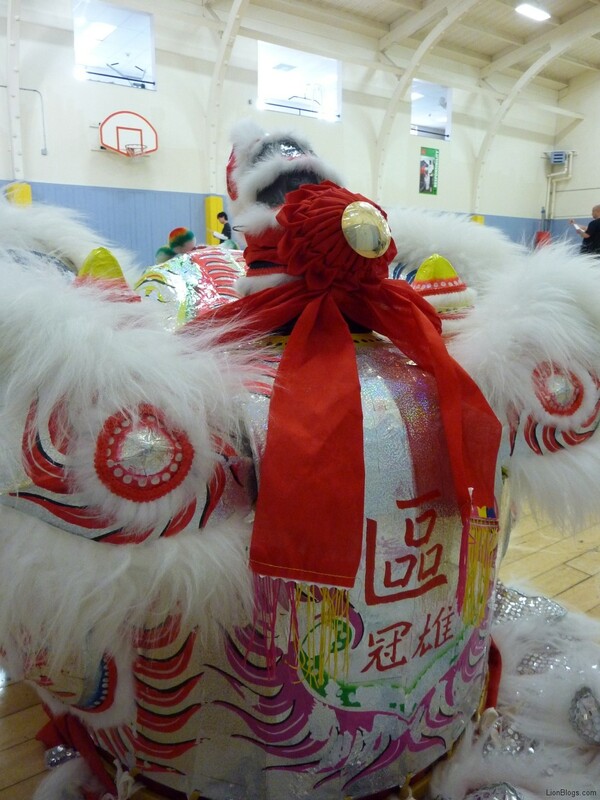 Or perhaps, you go with the laundry basket or chair method for practicing lion dancing. I mean, dragon boaters don’t practice in the bath tub and then get into a real boat on race day. So how do you people do it? I think the answer here, as with most things, comes down to money. You pay for a lion to practice with. So I’m wondering if there are lions made out there that are are made specifically for practice purposes. No need for paint, fur, or decorations. As long as the mouth and eyes work and the weight is right, it’d be a good practice lion. Or maybe there are lions made that have imperfections. You know, like the Belly Flops of lion dance lions. Or perhaps the poorly manufactured ones that are more affordable? Where do you get those? Anybody know? The new Photos page has been created. 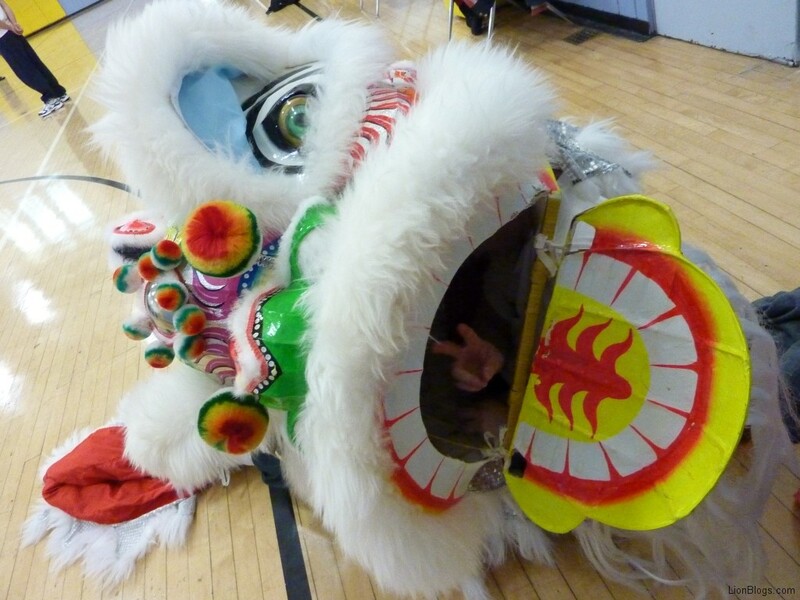 We will be adding lion dance photos there. Currently there’s only one album from the 2011 Oxbow Performance. 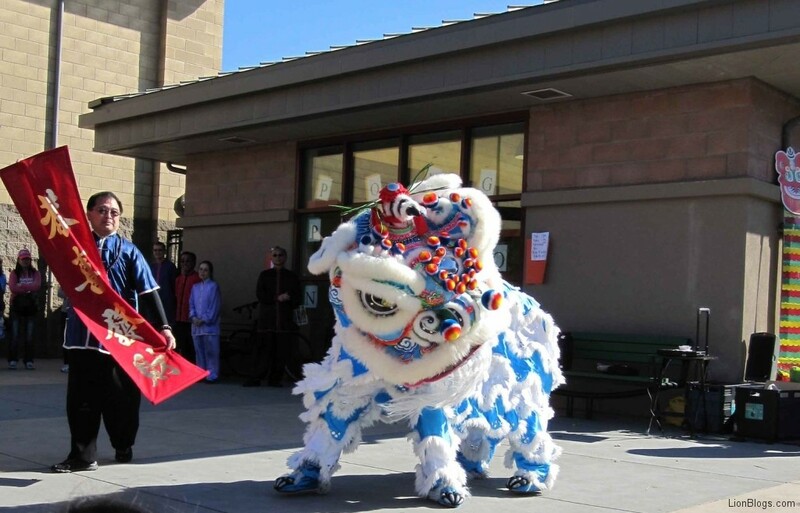 This was performance we did at the Oxbow Market in Napa for Chinese New Years on Feburary 13, 2011. Alex and Jason was dancing a lion, Elissa and Pam was dancing another lion. We did a few new puzzles for this performance. Alex and Jason did a snake puzzle. Elissa and Pam did a giant fish puzzle. This was a long marathon of a performance, almost 30 minutes of lion dancing I think. Thanks to Thomas Chun for taking the performance photos. 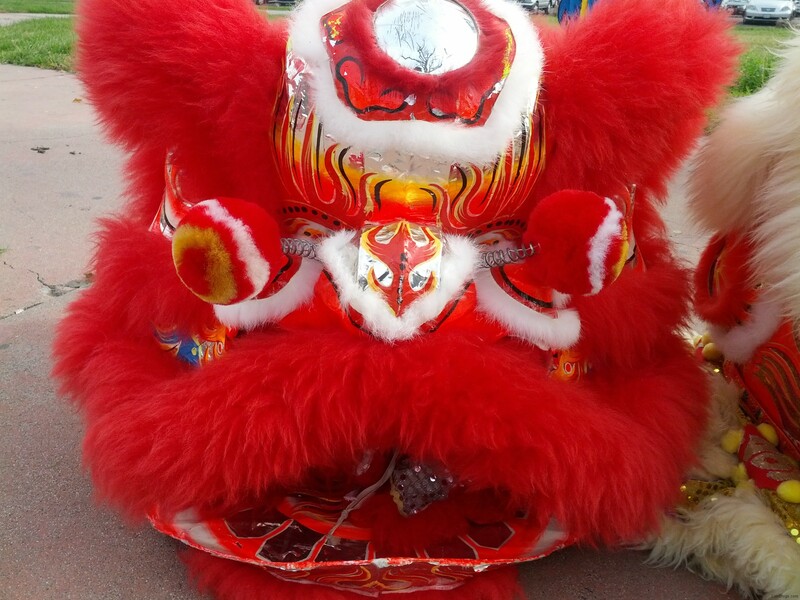 One of the main purposes of the lion dance is to scare off evil and bring good luck. Particularly in southern style lions, this symbolism is exhibited in ornaments such as the mirror on the lion’s forehead, used to scare evil spirits with their reflection. 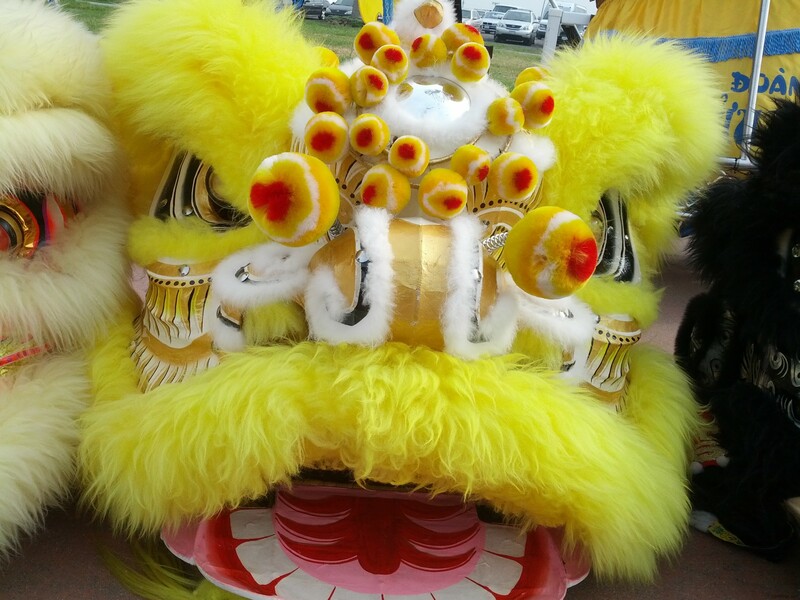 To those that have never seen a lion dance lion before, they might imagine images of scary and fierce looking creatures. 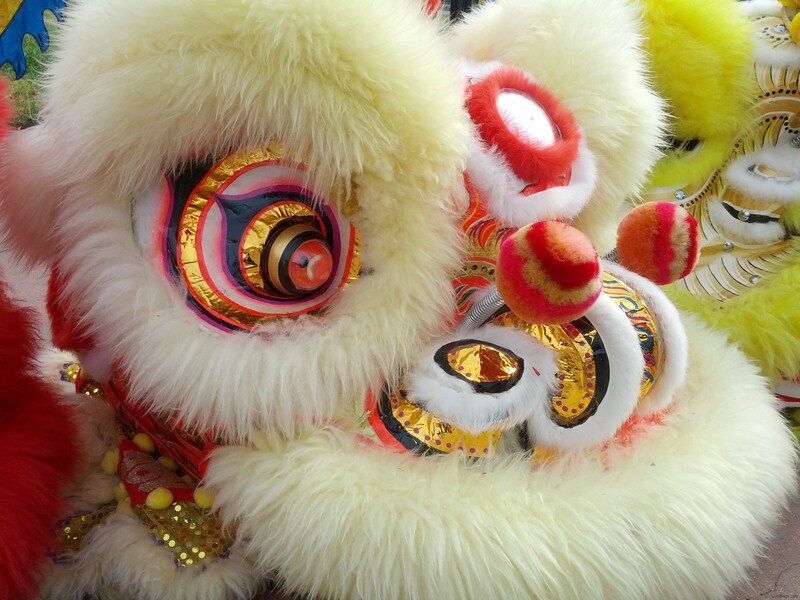 Although this is certainly true with some lion styles and colors schemes, a growing trend in playful and cute looking lions have dominated the lion dance performance scene due to their crowd pleasing appearance. 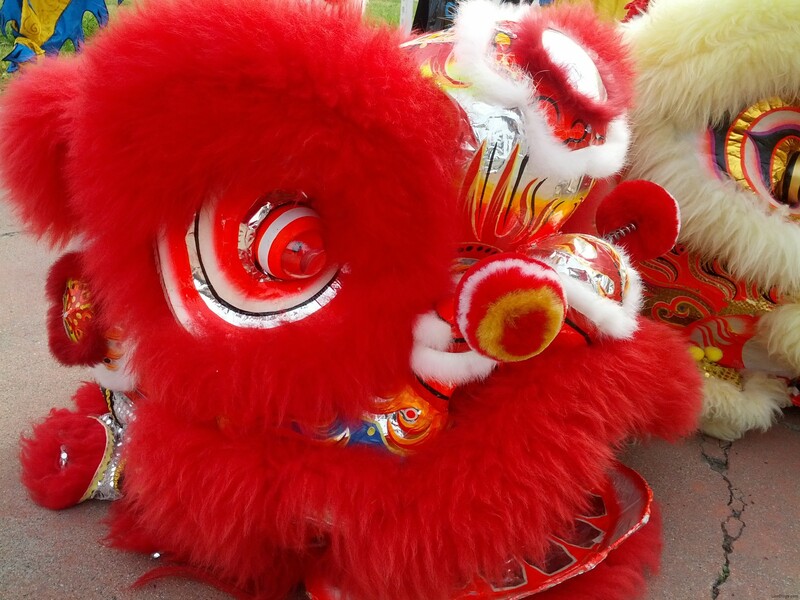 These bright colored, furry lions are particularly adored by kids. What kid wouldn’t love a huge, colorful, soft fur, animated lion? They look like giant sized stuff animals that move! I think performing for an audience with kids is a lot more fun because you can see just how much kids enjoy watching the lion. Their eyes open wide in amazement at the mystical looking lion and laughter ensues when the lion does playful movements. Kids have an easier ability to just see the lion as a lion, instead of two people underneath a costume. Therefore, if performed well, kids will forget about the people underneath… as the lion comes to life. 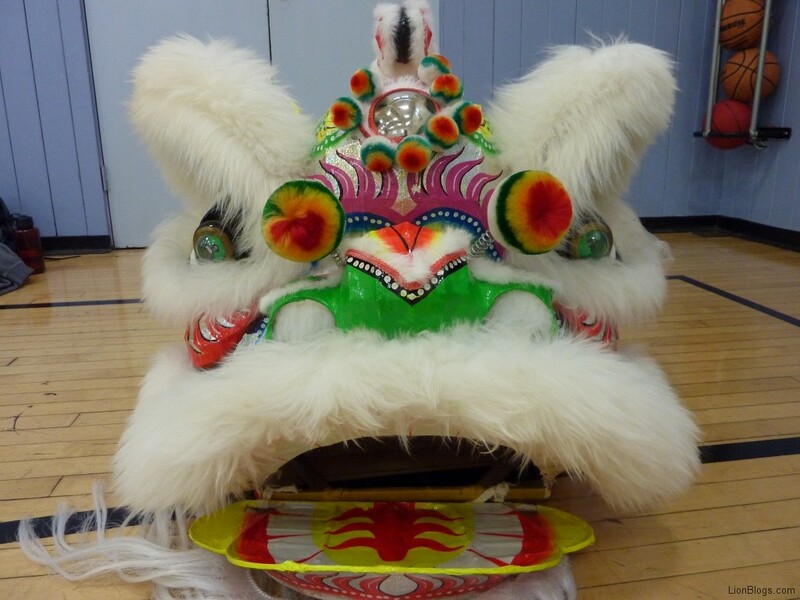 As part of the World Brooklyn exhibit at the Brooklyn Children’s Museum, kids get an inside-the-head look at what it’s like to be a lion dancer. Here are some fun photos taken by my cousin at the exhibit. If memory serves me right, the following is a list of items that I’ve stuffed down my shirt in the past couple years during lion dance performances. These props are part of puzzles that the lion has to solve/interact with. And if you’re dancing the lion, there’s no place to store stuff except down your shirt, in your mouth, in your hand, tucked into belts, etc. Ryan brought his lion to practice today. Ryan has been absent from practice for some time due to his school work load. Ryan showed some of the wushu youth how to hold the lion, shoot the lion’s head, and some stance positions. I think the youth are interested in learning more. 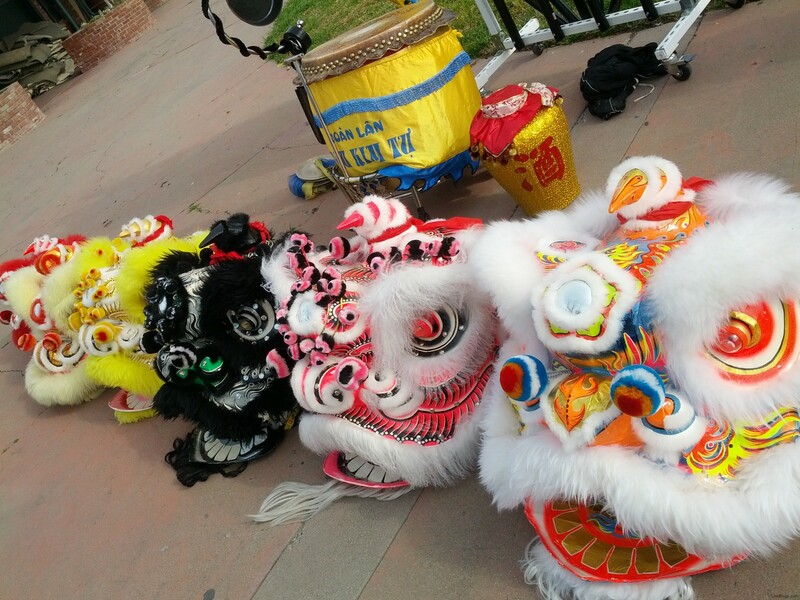 Heck, lion dancing is fun and is a change from the usual wushu basics that we do every time. We worked on a few new things today. We worked on the intro of picking up and getting under the lion. We never really do this at performances because we usually always enter the audience area already underneath the lion. But this is good to know, in case we do a different intro where we’re outside the lion to begin with. The intro we devised is simple, has a salute, a few empty hand movements, including a jump inside. Then we skip over the lion and pick it up. The head pick up involves a lift with the foot, which is pretty neat. We’ll need to practice this more. The second new thing we tried today was a body turn in the lion. 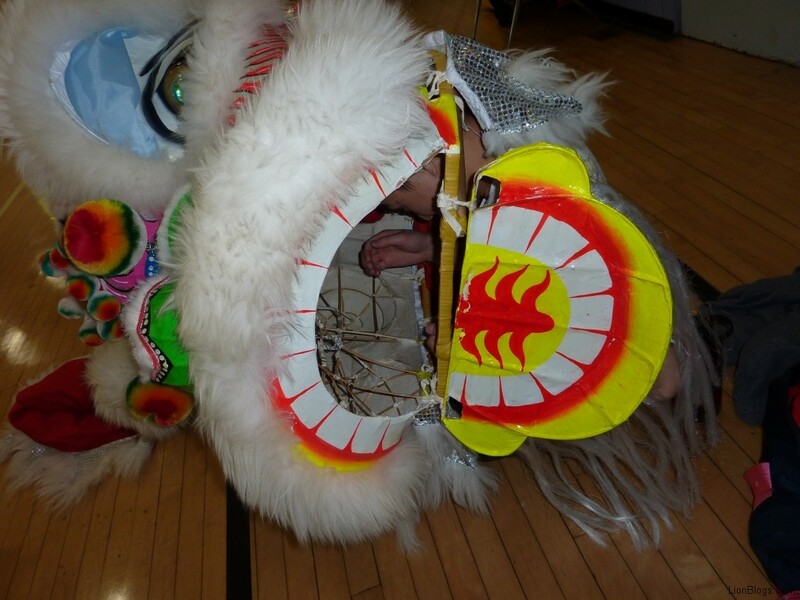 This is where you see the dancers momentarily as the lion’s head and body is spun in one direction. Similar to how a lion roll is (where you side roll on the ground), except we’re standing. 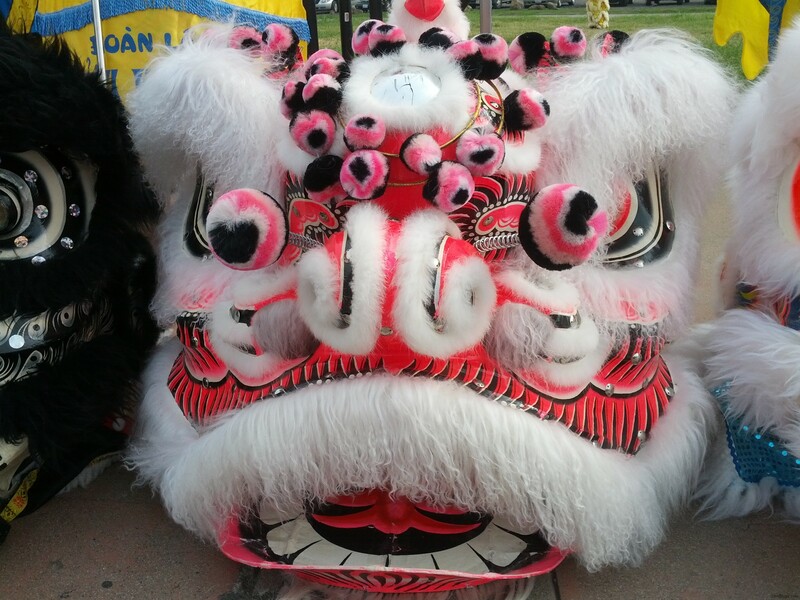 Lion Dance Videos Are Up! We’re excited to welcome everyone to LionBlogs.com! 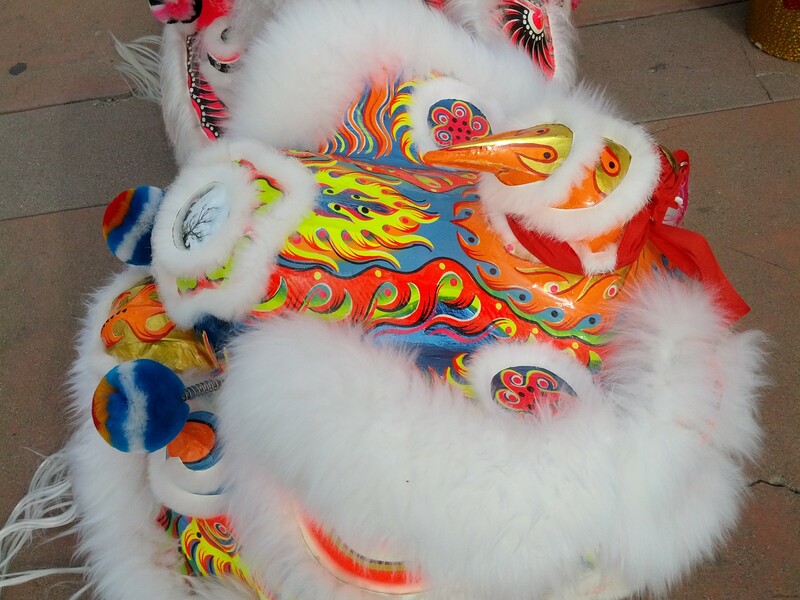 This site is managed by fellow lion dance teammates, Ryan Au and Alex Ng. 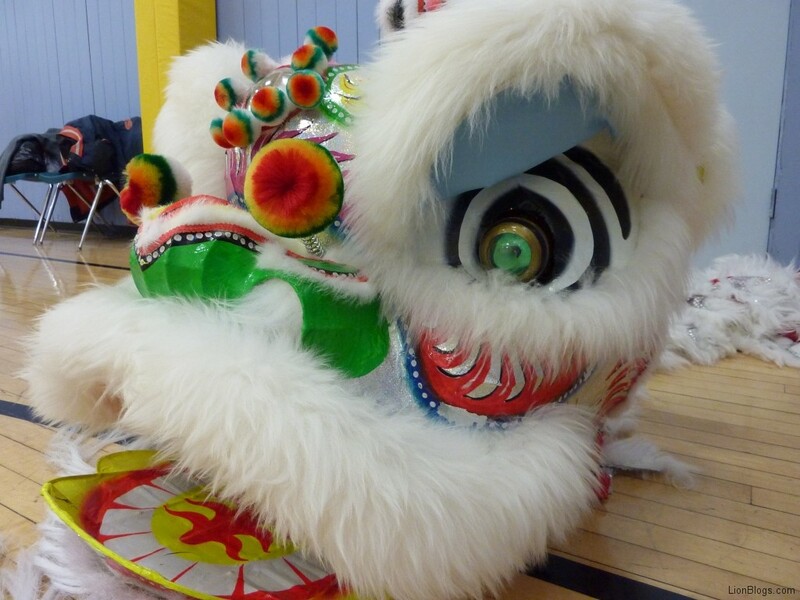 We will be posting our lion dance experiences here as part of our training blog. 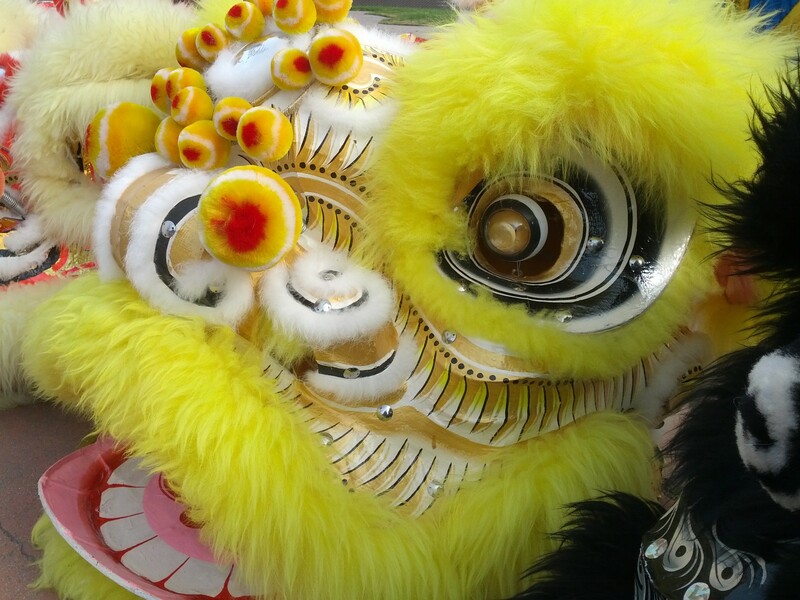 We will also be adding in lion dance resources and articles to help promote and spread the art of lion dancing.